Climate change may be one of the greatest challenges of our generation. 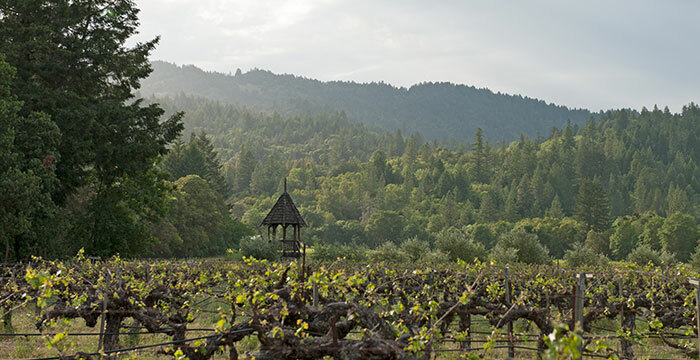 At Frey Vineyards we understand the responsibility and practicality of passing along a healthy environment to future generations and we look forward to reducing and eventually eliminating carbon dioxide emissions. As part of this program, and with the help of an energy audit, we've installed efficient lighting and motors. A 17 kilowatt solar array is used to power a forklift, lights, bottling equipment, and pumps. A solar water heating system is in the works. Other everyday significant, carbon-reducing practices are the use of recycled office and label paper; and tree planting and forest protection in surrounding wilderness. All of these actions either directly or indirectly keep carbon dioxide out of the air. Our goal is to make our impact on the climate "carbon neutral." In the future, electric tractors will be used in our vineyards. There is a lot of excitement over the use of high carbon composts, called biochar, and we hope to evaluate some of these practices. . Read more about these techniques at theInternational Biochar Initiative website. Organic soils rich in carbon make for healthy soils and plants, and also sequester carbon back into the soil, where it likes to be.